Prospective home buyers judge the contractor by the appearance of the job site. We understand that a clean job site sells houses. We provide onsite dumpsters including delivery and pickup. With Top Shelf Waste Systems, we’ve perfected waste removal to make it space efficient and convenient. We specialize in construction and demolition debris removal for both residential and commercial properties. We understand that a clean job site not only looks good but are safer too, our fast friendly eager team will handle your requested service within 24 hours, guaranteed – often the same day if needed. 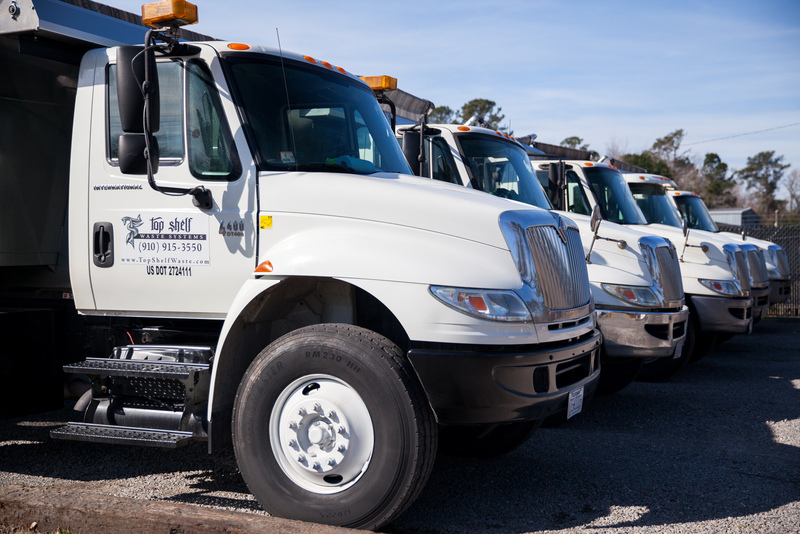 Top Shelf Waste Systems proudly serves Brunswick, New Hanover, Onslow, and Pender counties in coastal North Carolina and now Horry County in South Carolina. We’ve designed waste removal solutions that help you – the homeowner, the business owner, or the project manager – stay on target. No job is too big or too small. We currently offer 20 yard roll off dumpsters – big enough to get the job done but small enough to allow you to get your work done. We have it figured out. Our trucks are large enough to get the job done but small enough to let you get your work done. If you’re a residential contractor you want to stay on schedule with no delays. We work with you to make this happen. Our dependable crews respond to you within 24 hours guaranteed. We guarantee Top Shelf customer service. Our family owned and operated company is built on a foundation of service and commitment. Our teams are dependable, reliable, fast, friendly, eager to help, efficient and we’re affordable. We provide on-site trash dumpsters, including delivery and pick up for your home or business remodeling job. Our conveniently sized containers were designed to take up no more room than a parked car so we are not in the way of your neighbors or other businesses. Dependable, reliable, friendly, affordable service. Our staff has been background checked and all carry commercial drivers licenses. 24 hour pick up when you call. Our trucks and dumpsters are well serviced and well maintained. Clean and reliable. No need to worry about leaks on asphalt or driveways from our trucks. 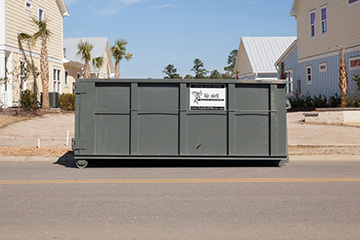 Dumpsters for construction sites and for remodeling or home clean up. 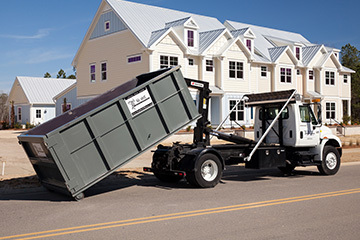 Dumpsters large enough to hold your debris but small enough to fit in a parking spot – so your business can continue without a dumpster getting in the way.